The NISPAcee Journal of Public Administration and Policy is listed in Clarivate Analytics (former Thomson Reuters): Emerging Sources Citation Index and Web of Science. The NISPAcee Journal of Public Administration and Policy is ranked in The Journal Impact Factor Quartile Q3 within field of public administration. When cited in academic articles, the full name of the Journal has to be utilized, not any abbreviations. Submit your data for the database of experts. 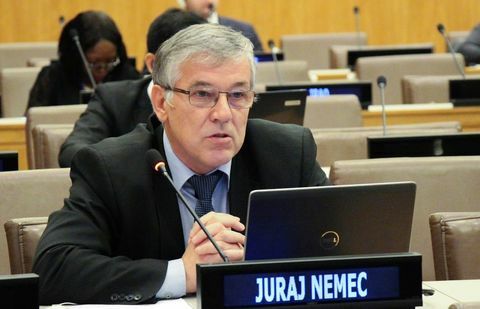 NISPAcee Immediate Past President Prof Juraj Nemec participates in the 18st Session of the UN Committee of Experts on Public Administration to be held on April 8 – 12, 2019. Juraj Nemec, NISPAcee Immediate Past President presented during the Strategic Partners' Roundtable the information about NISPAcee, its cooperation with IIAS, IASIA and EGPA, and future perspectives. What has been important for me personally is that NISPAcee was a platform to make good friends. That is why I would like to wish NISPAcee to continue being a platform for creating international friendships between its members. I have learned a lot from you, and I am sure that our discussions helped to build my personality and my personal skills and I know wherever fate puts us, we will always remain good friends. 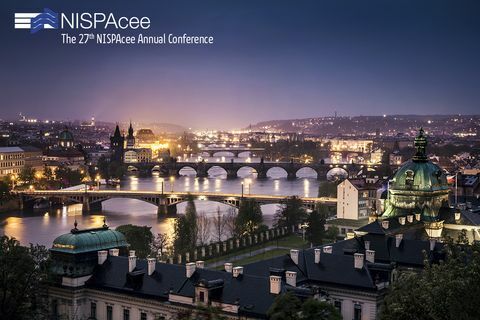 NISPAcee has modelled in itself the kinds of success and contributions to public service that it is seeking to further in its members. It has built strong and motivational social bonds among leaders in public-service education and broken down regional barriers to cooperation. It has planted the seeds for good scholarship and significantly advanced the quality of policy analysis in the region.